In the year 1972, Moffett started selling used forklifts and trucks, one question we had in mind was how these pre-owned vehicles will be maintained up to the standards. So we started parts and maintenance services to help the customers maintain their Moffett Forklifts. We provide you with different services along with guidance on how to maintain the health of our forklift. This is really important especially for those who have purchased a number of Moffett Forklifts. There are some recommended guidelines that we insist you follow, to make sure that your vehicle doesn’t malfunction. The first most important step is to make plans on how often you want your forklift checked. You can have full or partial maintenance plans. The difference is in the full plan, where we handle all the maintenance for your Moffett but in the partial plan, you will have specific services to choose from. The floor of the warehouse or factory on which the forklift will operate must be in proper condition. Any type of debris or obstruction can damage the axle, heat up the radiator or blow the engine into pieces. The drivers of a forklift are like captains of a ship, they are in charge of the vehicles by all means. They must be trained to regularly check each and every part of the forklift before using it. OSHA conducts special training programs to ensure operators obtain the right knowledge and skills. There are different software and hardware which can help you properly maintain your forklift. They are helpful in collecting important data like; fuelling, registering charging time, analyzing movements and much more. In order to maintain a long life for your Moffett Forklift, you must on regular bases check the condition of your vehicle. Make sure you make a pre-shift check of your forklift to avoid untimely expenses and damages. The first thing to check is if the battery is working in proper condition. In order to do that you need to; keep the cables clean, balance the level of electrolytes, clamps should be in place and the battery should have no rust. Make sure that the fuel in any form; petrol, gas, diesel or powered by electricity is always full. If the forklift doesn’t have the right quantity then it will affect the productivity. The smooth running of the forklift depends mostly on the tires. The tires must have the proper quantity of air and are there must be proper wear and tear, if not then immediately replace the worn out tires. Lubricate all moving parts using grease or other industrial oils. This will not interfere with the smooth running of the forklift. 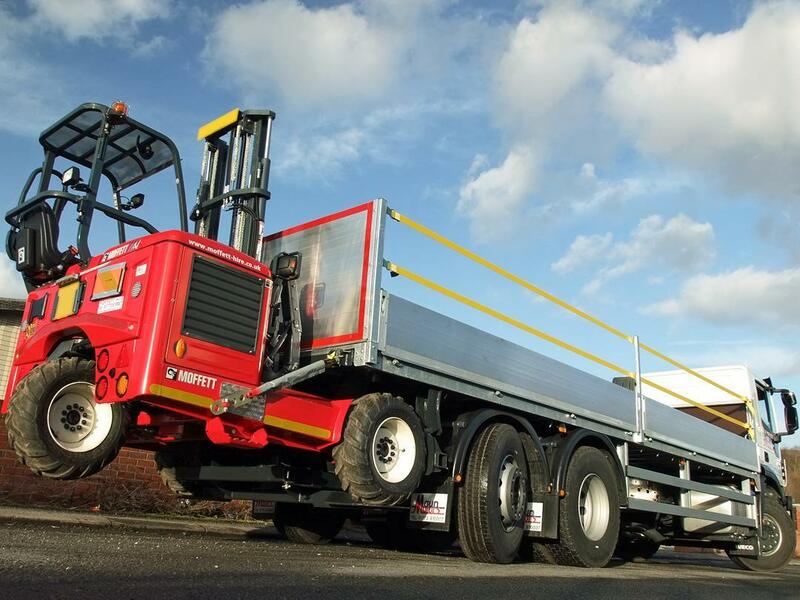 Check the forklift for any problem as it is the most essential part of the Moffett forklift. The fork, chains, tilt cylinders, and mast must be in proper working condition. How will you check the level of fuel, temperature, mileage, and speed if the gauges on the dashboard are not functioning properly? Maintain the operation of the gauges by regularly checking lights, wiring, and current flow to the dashboard. At Moffett Truck, we can provide all maintenance facilities to our customers in affordable prices and we customize forklifts to suit your warehouse or on-site usage needs. Feel free to call us any time for free of cost maintenance check on 800-797-8149.